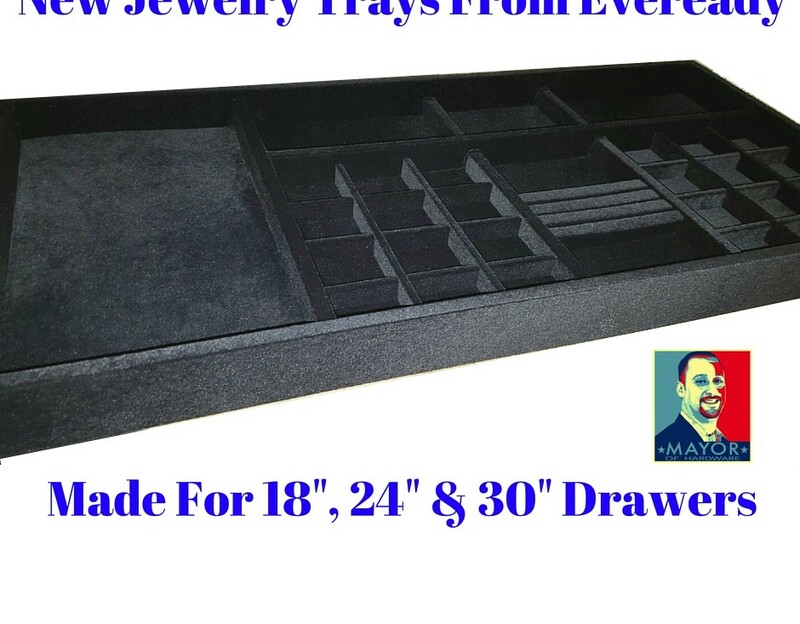 I’m excited to announce that I have black felt jewelry trays in stock. I just received my first order and I am very happy with the quality. 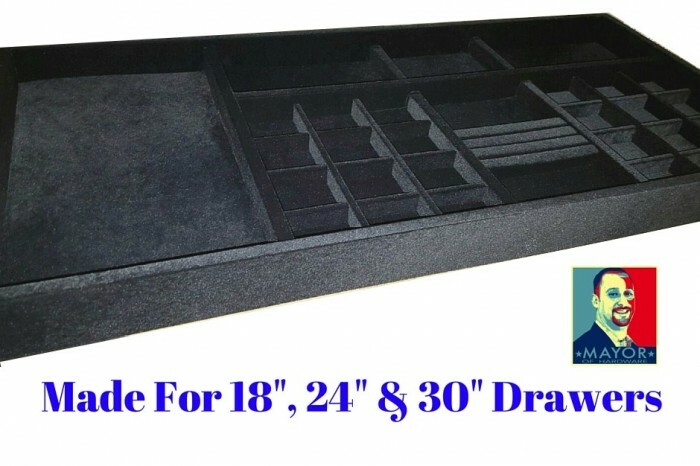 I also brought in a 1/4″ felt liner that is 36″ x 22″ – Cut to size and use as a filler if you are using a custom size drawer. Each tray is individually wrapped and packed 5 per box, but you can buy one at a time. No more long lead times or crazy minimums.